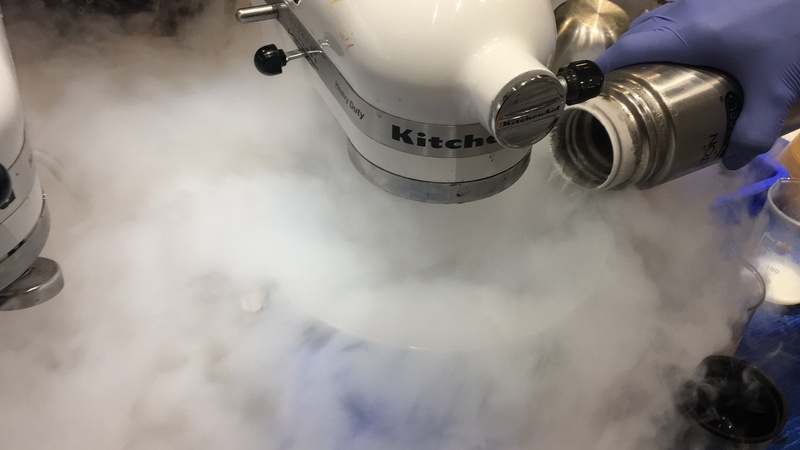 196 Degree below is the must visit place in chennai, they got the name 196 degree below coz they use liquid nitrogen to make their ice cream, Next to roll over this the place you can see how this guys are making their ice cream. 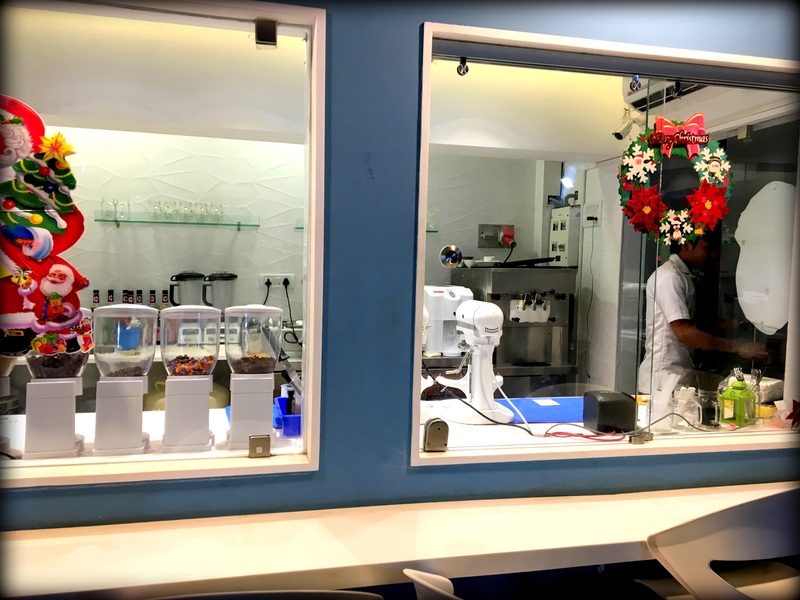 This is located in the soul garden, The moment we enter we can see the ice cream laboratory with test tube, ice cream blender and ice cream scientist “ice cream makers are dressed up in white colored dress with surgical glove and glasses attracts our attention”. Ambiance of the place is damn good. What to have here ? 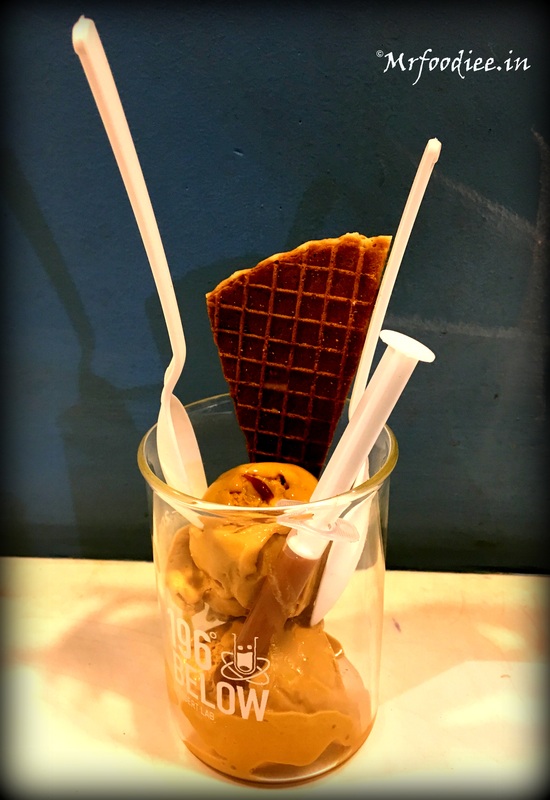 The Freak shake – Served with chocolate gelato base and salted peanut butter with whipped cream, i personally felt whipped cream was too heavy n greasy spoiled the taste, so i started having it without Cream, its was heavy surely a nectarous shake for sure. 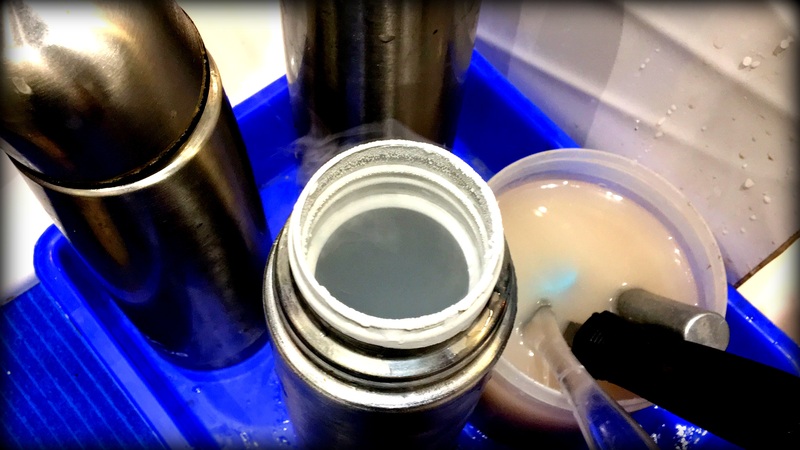 its take 30 mins for them to make it, you can see the whole process in their lab if you wish too. i high recommend it for ferrero rocher and lacto choco pie lovers, they use choco pie for ears and rocher in the core. 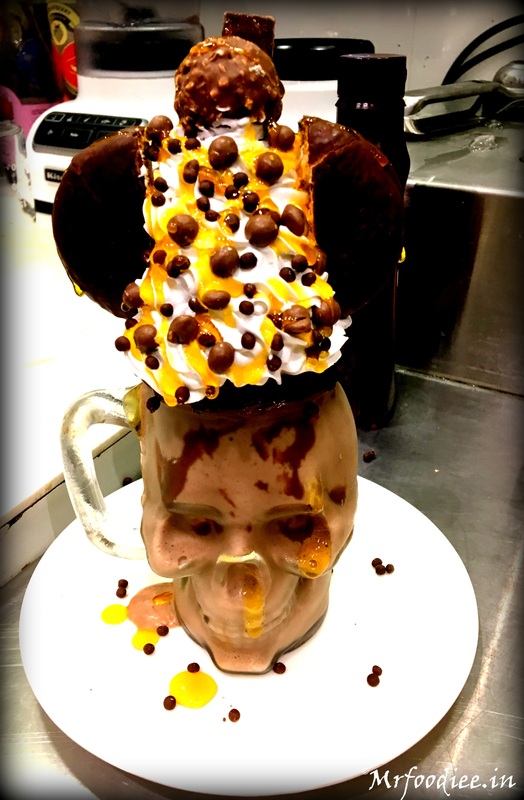 Loved the way they present the shake. Milo is my all time favorite from my childhood, the moment i had the milo frozen ambrosia, i was like wow. its is surely a delicious sticky slippery creamy gooey, no more words to express it loved the way they made it, its was damn perfect with Nutella syringe. 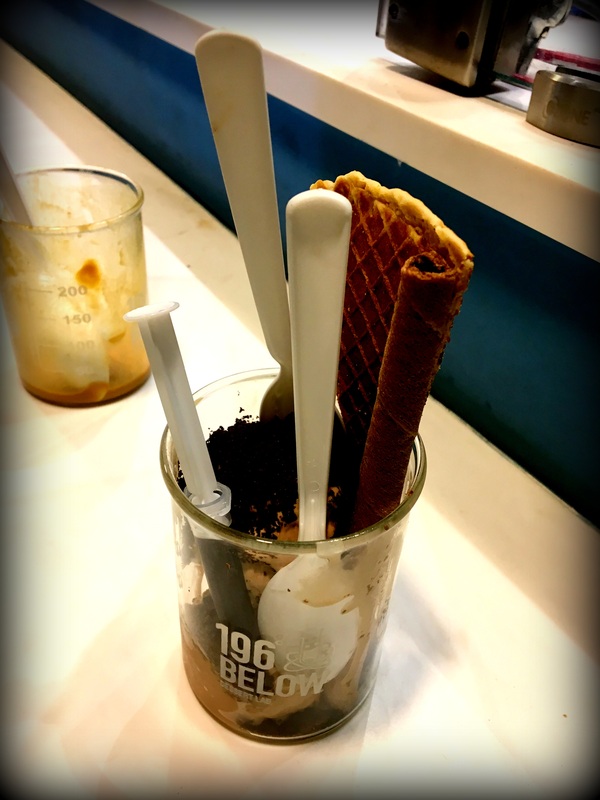 Overall its bit over priced but worth the money which we pay, they provide you the international standard ice cream for sure.